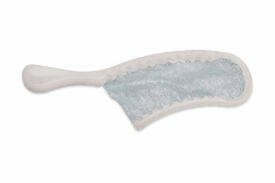 Provides predictable hemostasis and soft-tissue management in minutes! 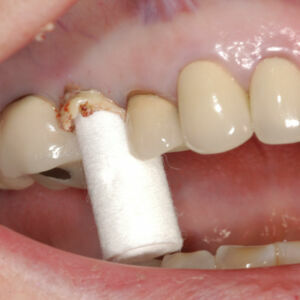 Traxodent is gentle, absorbent and fast. The soft paste produces gentle pressure on the sulcus while it absorbs excess crevicular fluid and blood. The aluminium chloride creates an astringent effect without irritating or discoloring surrounding tissue. 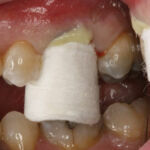 Traxodent provides predictable hemostasis and retraction in less time and with greater comfort. 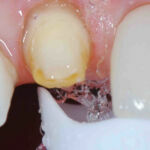 Traxodent rinses clean without leaving a film2 Traxodent strong affinity to aqueous solutions allows the paste to be rinsed away easily and cleanly. 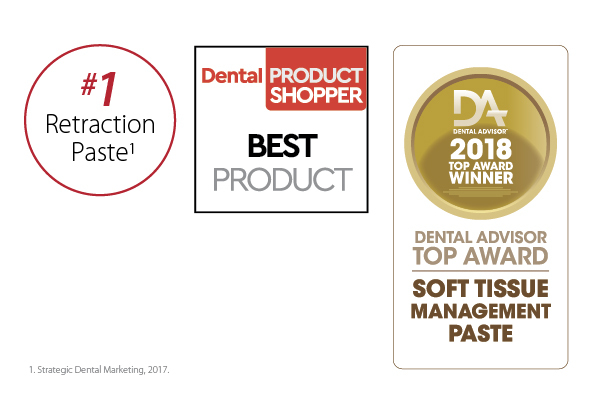 Unlike other paste3, Traxodent will not leave material behind that will interfere with downstream procedures such as bonding agents. 1. Strategic Dental Marketing, 2017. 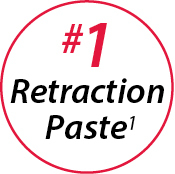 Enhance Retraction with Premier Retraction Caps. 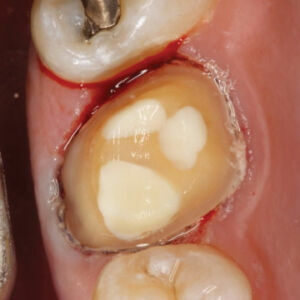 Using a retraction cap with Traxodent for crown and bridge procedures simplifies moving the paste into the sulcus and provides an atraumatic method for greater retraction. The pressure from the cap quickens and assists hemostasis while the absorbent cotton cap soaks up the fluid in the sulcus. 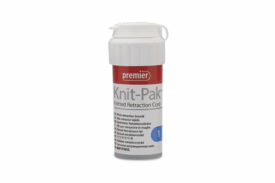 Additionally, the cap quickly brings Traxodent into close contact with the hemorrhaging tissue, which allows the astringent properties to work faster. Tooth is prepared for a clean impression. Traxodent is ideal to replace the second cord in the double cord technique. 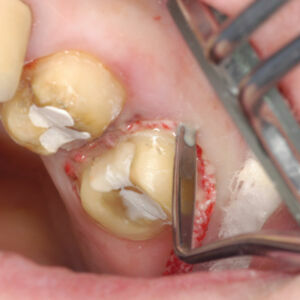 This technique saves time and lessens the discomfort to the patient while providing greater retraction. 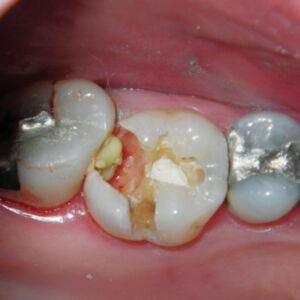 Traxodent easily rinses away, eliminating the occurrence of break-through bleeding when removing the second cord. A single retraction cord is packed around the preps. Place Traxodent over the cord. Wait 2 minutes. 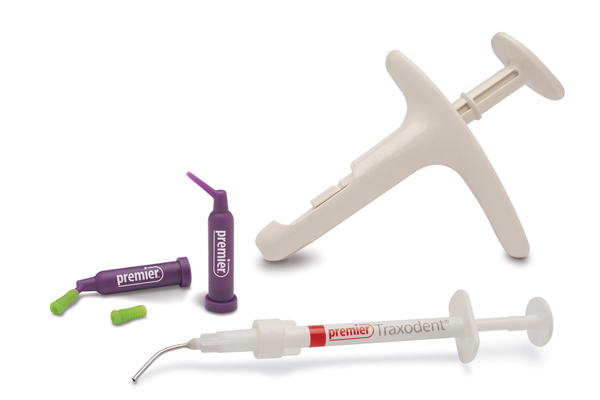 For difficult tissue that will not stay retracted, Traxodent can be used with retraction cord and cap. Place retraction cap on prep; have patient bite down on cap for 2 minutes. 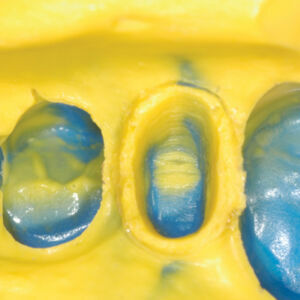 Traxodent is suitable to displace the gingiva before a CAD-CAM scan to get a crisp image without the soft tissue obscuring the view of the margin. Dentists who use lasers for retraction can benefit from Traxodent as it provides excellent post-op hemostasis after laser troughing. 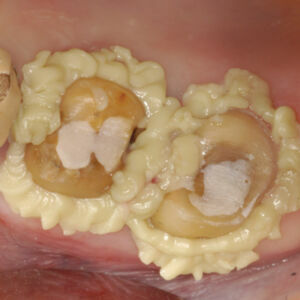 Traxodent is applied around prepared tooth. 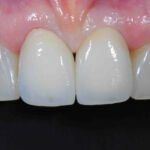 After 2 minutes, Traxodent easily rinses away. 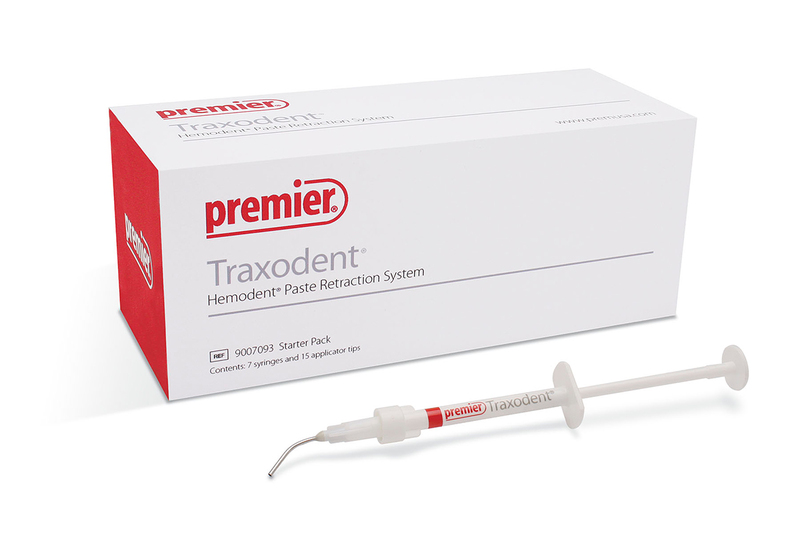 Traxodent offers a convenient and effective way to stop and control blood and crevicular seepage for all routine hemostasis procedures. The bendable tips can be positioned for areas that are difficult to reach. 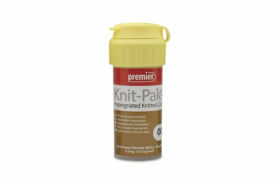 It is easy to dispense at the site of bleeding and will stay put, giving the astringent properties of the aluminum chloride a chance to stop the bleeding while providing temporary shrinkage of tissue without additional tissue trauma. 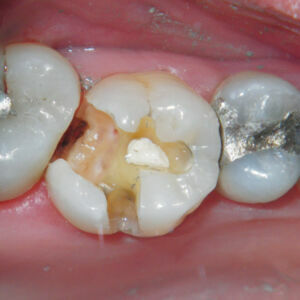 The absorbent clay base has an affinity towards oral fluids and blood. It will draw in fluids and easily washes away leaving a clean field behind. After 2 minutes, bleeding is stopped and field is isolated.